BBYO is celebrating its impact on Dallas youth through its “Bricks for BBYO” program. To commemorate the many years of service to Dallas-area Jewish youth, North Texas-Oklahoma BBYO initiated a program called “Bricks for BBYO” that helps support its international award-winning youth programs serving over 700 Dallas area teens yearly. BBYO is the largest and most effective provider of identity-building and leadership development programs for Jewish teens throughout the world. Headquartered in Washington, D.C., BBYO encompasses over 40 regions across North America, as well as Central and South America, Europe, Israel, South Africa, Australia and New Zealand, and comprises more than 130 employees and over 800 volunteer advisors. BBYO has helped thousands of Dallas-area Jewish teens for over 50 years. Mounted bricks are on display in the BBYO wing of the Aaron Family Jewish Community Center. For information about a “brick” contribution, please call the BBYO office at 214-363-4654 or e-mail Sherrie Stalarow at sstalarow@bbyo.org. Levine Academy’s Parent Association is planning their annual mah jongg tournament on Sunday, Jan. 11, 12:30 to 5 p.m.
For information, you can contact Anna Popp at anna@majgirl.com or 972-248-3032; Carol Tatom at ccieli@aol.com or 972-596-7065; or Nina Goodman at goodmanemail@verizon.net or 469-467-1220. Prizes will be awarded. Interested players should send their $36 registration check to Levine Academy, 18011 Hillcrest Road, Dallas, TX 75252, by Jan. 7. Marvin J. Migdol, longtime local reporter, covered the recent Holy Land Foundation (HLF) trials and the “guilty on all counts” verdicts. The Justice Department said that HLF sent $12 million to Hamas, declared a terrorist organization in 1995. Migdol covered the initial trial and retrial more extensively than any other journalist except for the Dallas Morning News. He frequently sat in on the Dallas trials, a fixture in the courtroom. Migdol sat and conversed with Noor Elashi, daughter of a defendant who regarded her dad as a hero. On Oct. 22, 2007 the original three-month trial ended with a mistrial. There were 197 counts against the defendants. The trial and retrial reverberated around the world as the most momentous terrorism funding case. Hamas is known for sending numerous suicide bombers into Israel. The defense said that the funds were zakat (charity). In Migdol’s lectures, he traces HLF from its founding through the two trials, accenting highlights of the trials. Prosecutors’ strategy included putting Israeli secret agents on the stand, substantiating FBI and other evidence, including over 1,000 exhibits such as wiretaps, documents, transcripts and even videotapes dug up in a backyard in Virginia. He also discusses Muslim links with terrorism acts that have killed over 100 people in recent days, including at the Chabad Jewish Center in Mumbai. During both trials there were gag orders for all attorneys. In two previous cases in Illinois and Florida, there were hung juries. The U.S. government has spent 14 years on the HLF cases. In both trials the defense acknowledged ties between the defendants and Hamas leaders. Migdol’s recent speeches have been given at various places including Congregation Nishmat Am and The Legacy. Migdol spent seven years in public relations and fundraising for nonprofit, often Jewish, causes. He served as national director of public relations for the United Jewish Appeal (UJA) in New York City, heading a staff of 20 PR people. He was regional director of JNF. Migdol has received numerous awards and honors. He is listed in many “Who’s Who” volumes and was selected as the Dallas “Entrepreneur of the Year” in the competition sponsored by Arthur Young and Company. Migdol has served on the boards of the National Jewish Committee on Scouting, Academy of Hospital Public Relations, Dallas Bridge Association, University at Buffalo Alumni Association, American Jewish Congress (Southwest) and many other groups. 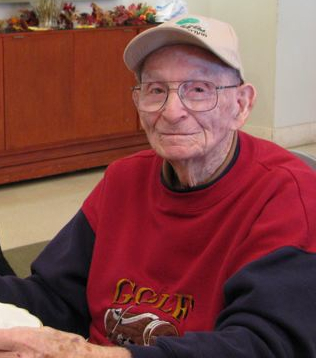 He was a founder of Temple Shalom and served on their Brotherhood board. His programs include ample time for Q&A. Marvin is married to Fay Migdol and is the father of six children. The Community Kollel of Dallas is offering a six-session basic Hebrew class, free. Learn how to make sense out of the Hebrew alphabet. The emphasis is on letter recognition, pronunciation, vowels and other skill-building techniques to help gain confidence and proficiency in reading capabilities. The class is taught by Ayelet Myers using materials from the National Jewish Outreach Program. The class will be given Wednesdays, Jan. 5, Jan. 12, Jan. 26, Feb. 2, Feb. 16 and Feb. 23, from 2:25 to 3:25 p.m. in the Library Conference Room, second floor, Schultz-Rosenberg Campus, 12324 Merit Drive, Dallas. Plano’s first and only life care retirement community, The Legacy at Willow Bend, has named Eddie Feldman director of sales and marketing. The announcement was made by Michael Ellentuck, president of The Legacy Senior Communities, Inc.
Feldman joins The Legacy at Willow Bend from Classic Residence by Hyatt, where he served as director of sales and marketing. A third-generation Dallasite, Feldman attended St. Mark’s School of Texas and received a bachelor’s degree from Southern Methodist University in Dallas. He is a member of the Rotary Club of Park Cities and the Dallas Executives Association. He lives in Dallas with his wife, Jane, and daughter, Alexandra. Why go out on a cold evening among strangers when you can have fun among friends, in a safe and warm environment? On Wednesday, Dec. 31, Congregation Tiferet Israel will host their Second Annual “Tiferet End of Year Bash.” The party starts at 9:30 p.m. and will conclude around 1 a.m. Included in the evening will be drinks, dancing, casino games, a champagne toast, midnight breakfast, karaoke, laughter, and resolutions to exercise more while eating a healthier diet (yeah, right). In addition to those exciting activities, the evening promises memorable images of Rabbi Shawn Zell spinning and twirling to the music, as his tzitzit fly in the midnight breeze, under the moonlit sky. This event is open to all in the community and is a continuation of Tiferet’s commitment to provide programs that meet the needs of a growing and diverse community. Dietary laws will be under the strict supervision of Tiferet rabbinic authorities. The cost for the event is $45 per person. Please call Debby Chambers at 214-691-3611 to RSVP. Congregation Tiferet Israel is located at 10909 Hillcrest Road, just north of Royal Lane in Dallas. Chanukah has always been a very special time for me, since I was a young boy. It has, ever since I can remember, been a time of joy, as well as a time of pride to be a Jew. But, to tell you the truth, I’m having a very hard time getting psyched up into a joyous mood this year, with the value of my assets slashed almost in half. In addition, my Jewish pride took a hit with the recent discovery of a $50 billion Jewish swindle. And I’m petrified with the threats being made to wipe Israel off the map, with nobody taking that meshugginah seriously (which I can’t understand why not, only 60 years after the Holocaust). That’s my little story why I’m having a tough time with Chanukah; any comments would be welcome. I would venture to say that what you are feeling is being felt by many others like you. It certainly is a challenge for many Jewish breadwinners who have recently lost their sources of livelihood, or their hard-earned assets, to be joyous. The other points you mentioned don’t help matters any. Truth be told, what you’re feeling is what Chanukah is all about. The overall situation and feeling that had enveloped the Jewish people at the time of the Syrian-Greek exile prior to the Chanukah miracle was that of Darkness. All that mattered to the Jews — their freedom of religion, the Temple and all it stood for, their observance and Torah study, their schools — were all closed and taken away from them. The ritual of brit milah, the precious entry of a Jewish baby into klal Yisrael, was outlawed, together with many other precious mitzvot. A Jewish future was bleak, if not impossible. All that represented Light to the Jews was snuffed out, and all that remained was Darkness. This forced shutdown of our religion was quite successful, causing a landslide of Jewish assimilation into the Greek culture and people. For the first time in Jewish history we had an overwhelming number of Jews who referred to themselves as Greeks first and Jews second. G-d, Himself, seemed to have disappeared from the scene, and have left matters in the hands of the Greeks. It was precisely at this time of darkness that the Maccabees came onto the scene. What separated them from the masses was hope, and their burning faith in the ability of G-d to change things overnight, if He would choose to do so. They looked at the pervading darkness as an opportunity to rekindle a light, the likes of which had never been seen before. Darkness can be seen as the absence of light, or as the backdrop upon which light can be seen that much more brightly. That is precisely why the miracle of Chanukah was that of Light. The name Maccabee, in Hebrew, is an acronym for the verse “who is like You, G-d,” which refers to G-d revealing Himself in times when He seems to have disappeared, showing that He was always present, albeit behind the scenes. He is waiting for the challenge and the test to elevate His beloved people to new heights. This is the lesson of Jewish history, and the way Jews have reacted throughout the millennia. We look at tough times as opportunities for growth. If G-d has frozen the credit card, let Him know we get the message by increasing or enhancing our service of Him, with increased Torah study and faith. If events have transpired which minimize our Jewish pride, let’s do things that will increase Jewish pride in the world. If nobody’s listening to a madman who wants to wipe us out, let’s let G-d know that WE hear him, and will do what we can to strengthen the Jewish people everywhere. Chanukah means consecration — let us seize the opportunity to re-consecrate ourselves as Jews and a people, to ensure a bright Jewish future! A joyous Chanukah to all our readers and your families, and to all of klal Yisrael! The December Dilemma is past and we have talked with our children about the differences between our religious observances. The discussion is really the most important part — we want our children to know the beauty of Judaism and to strengthen their identity. The Jewish people have been called “The People of the Book” because of our dedication and commitment to studying the Torah. We should really be called “The People of the Books!” Jews have studied many, many books and learning has always been an important part of every Jewish home. As a confirmed biblioholic (one addicted to buying and reading books), I give many suggestions on books every Jewish home must have, especially if they have young children in the home. A very special book edited by Joel Lurie Grishaver is titled “I Have Some Questions About God.” The many questions are answered by a number of different rabbis including former Dallasite Rabbi Ed Feinstein. If you haven’t started your Jewish bookshelf, start today! Now, children have lots of questions about G-d and we adults often struggle to give the answers because we are still searching for those answers. The most important thing to remember about questions is that we do not always need to have an answer; in fact, Jews have always been accused of answering every question with another question. As a teacher and a parent, I know that works! So when your children ask the tough questions about G-d and life, turn to them and ask, “What do you think?” It helps to know what they are thinking. There is a stage when we wish our children would stop asking us questions; instead, cheer the questions and find the answers together. So when are you supposed to have these heavy-duty study sessions with your children? This answer is easy because we have read and recited the answer from memory: “You shall teach these words to your children and speak of them while you sit in your home, while you walk on the way, when you lie down and when you rise up.” It is simple — do not wait for a serious study session but rather talk about G-d, Torah and all of life every day in every way. P.S. : If you get stumped with a question, feel free to contact me and we will learn together — 214-739-2737 or lseymour@jccdallas.org. Today, Christmas music plays nonstop everywhere. A good day to consider our own musical possibilities. First: “Lights! Celebrate Chanukah Live in Concert” has been airing across the nation on PBS. Something fun for everyone, with Cantor Alberto Mizrahi, actress Mare Winningham, black/Jewish singer Joshua Nelson, the Klezmatics, etc. If you’ve missed it, contact producer Craig Taubman (www.craignco.com/flash/lights) for a brief taste, then ask your public broadcaster to run it again. This is a first for PBS, and “We hope it will not be their last,” says Craig. Amen to that! Second: Here’s a goodie to remember for the future: A classical music radio station out of Wake Forest, N.C., honors Chanukah every year at the time of the first candlelighting. For 2008, Rabbi Jenny Solomon selected the music and wrote the script to go with it. Ken Hoover, host of WCPE’s “Great Sacred Music” program, reminds his faithful listeners that this is a long station tradition: The music played 24/7 by WCPE “transcends belief systems, crafted by artists from all traditions, listened to by a global audience reflective of the world’s diversity….” That last is possible because this 30-year-old non-commercial station streams on the Internet and can be enjoyed worldwide in a choice of formats. Give it a listen: www.theclassicalstation.org. Third: “Songs of Life” was created earlier in 2008 to honor the people of Bulgaria, who 65 years ago “stood firm and saved their Jewish population,” according to Kalin and Sharon Tchonev of Lexington, S.C. They organized this international choral event, subtitled “a festival of thanksgiving,” which recently took place in both Bulgaria and Israel; choirs and individuals from around the world joined to perform Ernest Bloch’s major work, “Sacred Service,” and present other “songs of life” of their own choosing. There was also a special presentation of 50,000 flowers to the collective Bulgarian people — one for each Jew they saved so long ago. Dr. Michael Bar-Zohar has written “Beyond Hitler’s Grasp” about this, one of the Holocaust’s lesser-known rescue stories. The Tchonevs write, “History has shown that even in life’s darkest moments, a light often emerges that beckons hope for generations to come. It is our hope that ‘Songs of Life’ will transcend cultural and religious lines and … build bridges among all that it touches.” Learn more about this effort at www.songsoflife.org. Fourth: Even the Library of Congress is promoting Jewish music! And Jewish heritage! “The Musical Heritage of the Jews of Cochin” was a recent program, with parallel book display, in the Library’s Thomas Jefferson Building, Washington, D.C. Jewish women’s songs for weddings and other rituals and celebrations, in Malayalam (a wonderful East Indian language — spelled the same backward and forward! ), were on the verge of extinction when researchers assembled a group of Cochini Israelis and helped them re-learn the music of their ancestors. Now, after five years, the Nirit Singers “have brought to modern ears the voices of their aunts and grandmothers,” says the Library, which hosted the group there. You can learn more from Anchi Hoh, adia@loc.gov. Fifth: More Jewish music, more Jewish heritage: Go to www.fau.edu/jsa to fill your ears with an assortment of wonders. This is the site of Judaica Sound Archives at the libraries of Florida Atlantic University, whose mission is “Rescuing, Preserving, and Sharing a Heritage.” You will love it — guaranteed! Sixth, and finally: the true story of Miri Ben-Ari of New Jersey, a young violinist who grew up in Israel. But even there, even with school field trips to Yad Vashem, she never connected the Holocaust to her own life. Then, when she was 12, a teacher gave her class a family tree assignment — and Miri heard for the first time from weeping grandparents about her long-gone Polish relatives. She learned that a girl about her age was playing the violin when the Nazis came for her family, and she never played again. Suddenly, “The Holocaust was personal,” Miri said. “Something had happened to a little girl with a violin. A girl like me. I vowed, ‘Every time I play, I will play for her.’” And she has. Moving to New York for advanced study, Miri has appeared at Carnegie Hall. But she’s also formed “Gedenk” — Yiddish for “Remember” — a group that teaches youngsters: “The Holocaust happened to people like us. We must never forget. I will never let hate silence a little girl’s notes again.” Read more about her at www.guidepostsmag.com/miri. Now — go treat yourself to a musical Chanukah! Chanukah, the Festival of Lights, falls during the darkest time of the year. But in homes where each family member lights his or her own menorah, Chanukah burns extra bright. The simplest, most ancient menorah of all, rows of glasses containing wicks filled with olive oil, celebrates the Chanukah miracle itself. Even today, many observant families in Israel light multitudes of oil menorahs, displaying them in protective glass boxes outside on their doorsteps for all to see. Other families, also blessed with many children, light five, six, seven or more at their windows, illuminating the streets below. During Chanukah, even the darkest corners of Mea Shearim, Jerusalem’s fervently Orthodox neighborhood, sing with light. The rest of us celebrate Chanukah in the glow of a single menorah. But many people own several, enjoying their significance, beauty and charm year-round. The choice of traditional menorahs, for collectors, is wide. Menorahs, after all, span centuries of history and hail from every place on earth that has welcomed Jews. Menorahs from lands blessed with olive groves are generally oil-based, edged with rows of eight tiny oil fonts. Italian cast metal wall menorahs often feature backdrops adorned with mythical or biblical figures amid Renaissance-style scrolled clusters of fruit and florals. Moroccan wall menorahs typically incorporate stylized birds into intricate, openwork arabesques reminiscent of North African architecture. Middle Eastern menorahs may feature Islamic stars, crescents and hamsas, hand-shaped good luck symbols. The oldest surviving Franco-German menorahs, with pierced triangular backplanes, are also oil lamps. But their owners, instead of olive oil, probably lit wicks dipped in goose fat, before enjoying their savory goose-fat latkes. Authentic vintage menorahs like these, rare indeed, are generally found in either private collections or museums. Inexpensive reproductions, happily, are readily available. Collections of oil-based wall menorahs make stunning decorative displays. The charm of oil menorahs notwithstanding, most Jews today prefer reciting the Chanukah blessings over convenient, colorful holiday candles. Many antique German eight-branched holiday candelabras are stately, featuring simple or finely scrolled branches. Others are shaped like Trees of Life. Their spreading branches are often adorned with clinging vines, roses, berries, grape leaves or flocks of birds. Brass backplate menorahs, which afforded artisans ample room for embellishment, became popular during the 17th century. Many feature embossed jugs of oil, crowns, pairs of rampant Lions of Judah, Torahs, Stars of David or family crests. German, Bohemian and Moravian artists wrought similar ones in pewter, while Romans and Venetians worked in silver. Polish artisans often produced brass backplate menorahs depicting noble animals like stags, lions, griffins and eagles. Their silver versions, sometimes backed with resplendent scroll-shaped plates, may feature architectural structures, like pillars or double doorways, enclosing Torah scrolls. Some are embellished further with Levantine palm trees and swirls of flowers. Contemporary silversmiths, inspired by these Polish menorahs, often adorn theirs with similar flourishes and decorative columns. Some also emboss highly detailed scenes of Jerusalem amid traditional Hebrew inscriptions. All menorahs, whether oil- or candle-based, must display eight lights at uniform height, flanked by a ninth, a “servant” (shamash) that illuminates the others. These religious restrictions, rather than limiting craftsmen, have inspired them. Naturally, backplate menorahs, eight-branched candelabras and those resembling Trees of Life will always be popular. But recently, an exciting array of contemporary designs have joined these perennial favorites. Today, anything goes. Reproductions of clay oil lamps fan out gracefully along metallic semicircle bases. Fused glass menorahs, as colorful as the candles they hold, are created with techniques dating back to biblical times. Crystal and acrylic menorahs shimmer with candlelight. Zabari’s freeform “molten” menorah spins silver to new heights, while Rashid’s amorphous, hot-hued Menorahmorphs defy gravity. Menorahs, explains Susan Braunstein, curator of archaeology and Judaica at New York’s Jewish Museum, which houses the world’s foremost collection, can be made of “ found or secular materials, for example, artillery shells and bullets.” To wit, consider Joel Otterson’s Unorthodox Menorah, a veritable mishmash of mixed metal pipes, cast bronze, porcelain and glass. Some modern menorahs, pure whimsy, delight the young and not-so-young alike. Sports fans can field baseball, soccer or karate models. Animal lovers can light up ladybug, giraffe or crocodile menorahs. Ballerinas, musicians, butterfly collectors and mah jongg fans will all find their hearts’ delights. There are also plush, inflatable, stackable and anodized aluminum puzzle menorahs. There is even a Miss Liberty menorah, actually eight of her in a row. Not surprisingly, many modern menorahs marry whimsy with tradition. Colorful, upbeat renditions of Noah’s Ark, “Fiddler on the Roof” and Maccabee menorahs are popular choices. Whether our menorahs are classic or contemporary, gold or silver, whimsical or serious, in the end, it all comes down to tradition. Around the world, we all recite the same blessings and sing the same songs. During Chanukah, the darkest time of the year, our homes and our hearts sing with light. Melody Amsel-Arieli lives in Maaleh Adumim, Israel. She is the author of “Between Galicia and Hungary: The Jews of Stropkov” (www.avotaynu.com/books/stropkov.htm). Her clips can be found at amselbird.tripod.com. The Chabads of Dallas, Plano/Collin County, Fort Worth, Intown and Arlington have been lighting menorahs and offering Chanukah treats and entertainment at various Metroplex locations all week. The grand finale will be Sunday, Dec. 28 at Six Flags over Texas, with a menorah lighting and performance at 4 p.m. I wasn’t going to go. But I did, and I’m glad I went. After much coaxing, my daughter Sharon Wisch-Ray chauffeured me to the recent Thursday morning Yiddish group at Shearith Israel, Mamaloshen Morning. Sharon is a very busy lady — a devoted wife, homemaker and mother of three very active sports-dedicated young sons — and holds a full-time job and then more as executive editor at the TJP, yet there’s always time for Mom. My Yiddish is very sketchy at best, remnants from conversations with my mother as a child and the few words that Jimmy and I would exchange when we didn’t want our kids to know what we were saying. It was something that we used fairly often, though, and to this day I still remember many familiar, old-timey phrases. At any rate, the Thursday morning get-together was fun, very social, comfortable and relaxing. Everyone was called by their Yiddish name, and I was glad that I had an easy one to remember, Chaya. Actually, as a child, many long years ago, my mom called me Chayala, which was a form of endearment. Israel Becker commanded the fort as head honcho reading poems, jokes and anecdotes from a Yiddish book, and others in the group contributed with their Yiddish selections. Shearith Israel Program Director Mona Allen was busy as a bee seeing that everyone was seated comfortably, served refreshments of cookies and fresh fruit and coffee or tea. A performance of young Shearith Stars from the Pre-School, under the direction of Pre-School Director Esther Wolf, wowed the seniors. It was a fun morning, the time passed quickly and I was happy to meet new friends and new faces. Among them were Shirley Greenfield, Sandy Gelfand, Roberta and Steve Toback, Evelyn Shwiff, Pearl Olson, Max Glauben, Ruth Fishman, Ruth Rosen, Mike Lev, Maggie Furst, Bert Romberg and Mildred Rosen. Thanks, Sharon, let’s do it again on Jan. 8. Congregation Tiferet Israel is hosting a Chinese dinner and a movie on the evening of Dec. 25. Why go out on a cold night among strangers when you can spend a pleasurable evening of warm fellowship, while shmoozing with friends? Dietary restrictions for the dinner will be under the direct supervision of Tiferet rabbinic authorities. The movie scheduled to be shown will be “Oscar.” Sylvester Stallone stars as a Mob kingpin who needs to learn how to become a banker. Think “the Mob meets Pygmalion.” This is a very funny movie that will provide an opportunity to share many laughs among friends. There will also be a special movie selection for the children in attendance as well. This event is part of an ongoing and concerted effort on the part of Tiferet Israel to offer programs which meet the needs of a growing and diverse community. All individuals are welcome. The cost of the event is $20 for adults, $10 for kids ages 4 through 13, with children under 4 being free. There is still time to congratulate Yavneh graduates with a yearbook ad. Don’t miss the chance to wish mazel tov to your “near and dear” students, or to Donald O’Quinn on 10 years at the Yavneh campus. Yavneh has been on six campuses (including the JCC, Congregation Shearith Israel and Congregation Tiferet Israel) and is now celebrating Yavneh @ 15! The class of 2009 includes Asriel Agronin, Michelle Bach, Sarah Blasnik, Peter Bokov, Emily Cohen, Ariella Coretz, Shayna Dunsky, Mica Esquenazi, Eliana Gershon, Sara Greenberg, Brittney Herson, Patrice Khunteyev, Zoe Klein, Corey Kleinman, David Kravitz, Laura Kreditor, Aaron Liener, Michael Meltzer, Alexa Meyers, Jonathan Mishler, Eve Moel, Ariel Osterreicher, Zeke Quittner-Strom, Natalie Taub, Ethan Waranch, Sol Weiner, Elizabeth Weinstein, Shelley Widom and William Zalstein. Gather around folks, the Jewish War Veterans Ladies Auxiliary will celebrate Chanukah on Monday Dec. 22, 7 p.m. in the Junior Assembly Room at the J and you are invited to their annual party. There will be delicious deserts, door prizes and a “pinning” ceremony for five new members. There is no admission fee, but members and guests are asked to bring something for the food pantry at Jewish Family Service if possible. Last year the Auxiliary donated $500 worth of food to JFS. A fun (and funny) program is planned. For more information you can call either Mimi Guten, 214-361-2979 or Flora Robin, 214-368-1588. On Nov. 23, 50 Dallas-area Jewish seventh- and eighth-graders converged at the Aaron Family Jewish Community Center for a “Tie Dye and Pie” event as part of BBYO’s Teen Connection program for pre-high school students. BBYO (B’nai B’rith Youth Organization) is a pluralistic youth-led organization open to all Jewish high school teens, providing opportunities for socializing, leadership development, Jewish learning, social action and community service. For this program, each participant brought a T-shirt to tie-dye, found fun “treasures” while making pies and played other games in the JCC Block Gym. Cameron Smith, a seventh-grader at Frankford Middle School, said he came to Tie Dye and Pie “to have fun and be with [his] friends.” Teen Connection events are held several times during the year. For more information on Teen Connection and to get on the mailing list, please contact Tracy Davis at tdavis@bbyo.org or at the Dallas BBYO office at 214-363-4654. Folks in ourtown can enjoy the talent of Tarrant County at a Community Chanukah Celebration on Sunday, Dec. 21 at Congregation Ahavath Sholom. Festivities will start at 5 p.m. with a Community Menorah Lighting at the Federation Building adjacent to Ahavath Sholom. Following at 5:30 p.m., entertainment and a community musical program and play featuring the Religious School students of Beth-El and Ahavath Sholom with Javier Smolarz, Sheri Allen and N’shot HaKafar (the Beth-El Choir) will be presented. Admission is $5 for adults, $2.50 for children 3–12, free for children under three. The holiday event will be brought to you by the Jewish Federation of Fort Worth and Tarrant County with financial support from the Dan Danciger/Fort Worth Hebrew Day School Supporting Foundation. Chana Mandel, camp director, tells the TJP that Chabad of Fort Worth and Tarrant County has planned a stellar program for the first session of Camp Gan Israel. Instead of boring, dull days, the camp can transform your child’s winter school break into a fun Jewish mini-camping experience. Activities include a Chanukah carnival and field trips to the Fort Worth Zoo and the Main Event for bowling. In addition, campers will make Jewishly themed arts and crafts, and bake challah on Friday. Camp Gan Israel runs Monday, Dec. 29 through Friday, Jan. 2 at the Sonnenschein Chabad Jewish Center in Fort Worth. Chana says that the camp was specifically planned for the second week of the long winter break. Additionally, the camp is flexible — campers can sign up for all week, or one specific day! For more information or to review the schedule of activities, call 817-263-7701. Gail Granek’s and Harold Granek’s son Josh and daughter-in-law Daphne with their new baby, Yair, were in town visiting proud savta and saba. They also made sure to visit Gail’s parents, the Aronoffs, in Dallas. The Aronoffs are longtime members of Temple Emanuel and this is their first great-grandchild. When Mary Frances Antweil was in New York City with her daughter, Julie Silverman, visiting her son Mark and his family, they got tickets to be in the audience for a “Live with Regis and Kelly” show. Julie ended up winning a contest where she received a new T-Mobile telephone and was shown on TV. Just so happens that ourtowner, Becky Victor, was watching in Albuquerque and saw Julie on TV. Former ourtowners Toni and Harold Gernsbacher and daughters, Leigh and Jordan, joined a group of friends for a 10-day holiday cruise to the Western Caribbean. Jewish Family Services is in gear for Chanukah. Despite the problems with the economy, our wonderful community members are as generous as ever. At least 50 people participated in making sure Jews in need (about 44 adults and 16 children) will be able to celebrate Chanukah this year. Monetary contributions from people who have adopted families have already started coming in, so JFS staff can do the shopping and provide gift bags. Two supper clubs, including the Menorah Club, which has been getting together for over 20 years, generously adopted families of six, as did the Isadore Garsek B’nai B’rith Lodge. Dr. Carole Rogers spoke to the second supper club, at a wonderful dinner at Hedary’s, about the struggles that some of the families have. This group is made up of the most amazing women: Laurie Blum, Rochelle Moses, Cynthia Gilbert, Carol Minker, Joan Katz, Barbi Eisenman, Ruth Roper, Marilyn Hochberger McGee and Susan Luskey were all in attendance. As compassionate, organized and efficient as they are, they could really run the world! 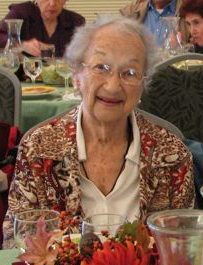 Rosalie Ackin enjoys the B’nai B’rith Thanksgiving feast. On Nov. 26, the Isadore Garsek B’nai B’rith Lodge provided another sumptuous feast for Thanksgiving. Over 100 community members participated, including those who regularly attend the JFS Senior Program. The Cherkosavs played Jewish, classical and holiday music while photos of the senior program were shown on a screen in Beth-El’s Great Hall. This year many young helpers from the B’nai B’rith youth group, including Amit Krompass and Eric Kupstin, helped with the serving. What was really special was that Eric Kupstin’s grandmother was at the luncheon and she didn’t know he would be there. He both surprised and thrilled her by showing up at her table and serving her lunch. And of course Hedy Collins was the consummate hostess. The tables were adorned with gorgeous arrangements put together with the help of Gail Berlin and Robin Stien. And Hedy handed out “pats on the back” to the wonderful volunteers — kitchen spoons covered by an oven mitt adorned with flowers of the season. Last week I shared with you some feelings from my recent trip to Israel. As I sit on the plane en route back to Dallas, I want to share with you one more little-known situation in our beloved Holy Land, which struck my wife and myself profoundly, and has been haunting us. I am referring to the abject poverty in which so many thousands of Israeli families live. In Jerusalem alone, tens of thousands live below the poverty line. Add to that the people in Sderot and other towns where many have lost their livelihoods. On a visit to Chechnov Institutions, one organization which combats this poverty, I heard a bone-chilling story. A teacher noticed that a student wasn’t performing so well that morning, and seemed hungry. When the teacher questioned the boy, he answered, innocently, that yesterday it was his turn to have breakfast, and today it was his sister’s turn! Contrary to widespread rumors that this situation exists only with large haredi families, poverty spans the spectrum of Israeli society, religious to secular. It exists, to a large degree, in the larger population centers, such as Jerusalem, and is prevalent in many smaller development towns. This caused me to think about how we American Jews spend, the many luxuries we enjoy and lavish weddings, when so many of our brethren are literally starving. Even with many of our philanthropic expenditures, donations directed to myriad good and important causes perhaps need to be re-evaluated. Would I, in good conscience, give my dollars to an arts or music center if I knew that my brother in Cleveland just lost his job and doesn’t have food on the table for himself, his wife and children? The Talmud says that if one is faced by two situations of poverty, one a Jew in his own city and the other in a different city, “aniyei ircha kodmim,” one’s own city takes precedence. Halachic authorities, however, have ruled that the poor of Israel are considered as the poor in one’s own city. In times like these, surrounded by dangers and threats to the survival of Israel, including proclamations to wipe it off the map Heaven forbid, this is a special time to perform acts of chesed (lovingkindness) and tzedakah. One could contact the Jewish Federation and see how to have a donation earmarked for the poor in Israel. My family and I visited two institutions in Israel that provide the basics for poverty-stricken families. Chechnov Institutions provides education for over 1,000 children of all ages and also with food; many of them otherwise eat only what they receive in school for the day. They help these children with shoes, reading glasses — in short, anything they see the students need. They run a food kitchen which provides hundreds of families with Shabbat meals. They can be reached at tshechenov@neto.bezeqint.net and will send English brochures and CDs illustrating their work. The other is Yad Eliezer, a fabulous, award-winning institution providing food pantries, kitchens and multiple additional services for men, women and children throughout Israel. I recommend looking them up at www.yadeliezer.org. Although we can’t change the situation overnight, everyone we help makes a huge difference! The season is definitely upon us and it may be better or worse that Chanukah is late! There have been programs at JCCs and synagogues for years called “The December Dilemma.” The goal of this program was to help us as parents learn how to handle our children’s questions and desires (while remembering our own). Here are a variety of thoughts and ideas — all taken from others wiser than I am! •Don’t compete — create meaning: We do not need to set up Chanukah as a competition or compensation for Christmas. Create meaningful traditions for all of your holidays. There’s more to Christmas and Chanukah than just the gifts. Judaism celebrates weekly — make a big deal out of Shabbat! •Talk with friends: The discussion is more important than the solutions! There are no right or wrong answers on how to deal with Santa Claus, lights, songs, etc. •Chanukah Rosh Chodesh: There was a new children’s Chanukah book out last year by Kar-Ben Publishing titled “Hanukkah Moon” by Deborah Da Costa. It is a story that comes from the custom celebrated by Sephardic Jews (those whose ancestors came from Spain — many who settled in Latin America). Chanukah is the only Jewish holiday that spans two Jewish months — Kislev and Tevet. Therefore, we not only get to enjoy Chanukah but also Rosh Chodesh. One tradition of Rosh Chodesh comes from the time when Moses came down from Mt. Sinai and he found the Israelites worshipping the golden calf. According to the Midrash, the women refused to give their gold to help build the idol and so their reward was a special holiday once a month — Rosh Chodesh, the new moon. The tradition on Chanukah for women is that no work is to be done while the candles burn; therefore, Chanukah Rosh Chodesh is a very special night! As you celebrate this year, perhaps each night could be a time to learn about a different country and the way that Chanukah is celebrated by those who live there. Are there different foods, different customs, different songs? An even more important question is, “What is the same?” What connects us to Jews throughout the world? Celebrating Chanukah means remembering the story of the Maccabees and how Jew fought against Jew to keep the traditions and the beliefs alive. Today it continues to be a challenge to keep the essence of our Jewishness alive — we are the link in the tradition! So let us teach our children how to appreciate their differences: first, by teaching and modeling Jewish life and all the beauty of it, and second, by learning about others and then going home to what we know and love.